and community organisations, and campaigns to effect legislative, policy and procedural change. 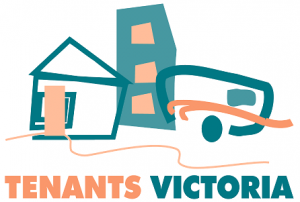 and advocate for tenancy rights in Victoria. You are a visionary CEO or Senior Manager with a passion for social justice and a strong history of providing impact through imaginative but practical projects. Your experience may come from a broad range of backgrounds where you have provided contemporary leadership in a community services organisation embarking on a period of change and innovation. If you are passionate about social justice and the rights of Victorian residents and tenants please click apply, submitting your cover letter and resume in MS Word format, quoting reference # 66962. For more information please call Anna Skeels or Emma Adams at NGO Recruitment on 03 8319 4070.